ELCO Heating Solutions has announced a warranty extension to its THISION® S PLUS and THISION® L ECO ranges of light commercial gas condensing boilers – offering an industry leading 5-year parts and labour guarantee. To coincide with the new extended warranties, ELCO is also offering a limited time contractor offer, which includes free commissioning and free onsite training until January 2019. To take advantage of the latest offer, contractors should contact the ELCO Sales team on 01268 546700, or email enquiries@elco.co.uk. 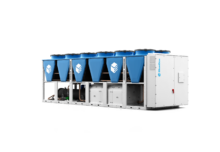 THISION® S Plus is available in three models: 34kW, 45kW and 53kW – each of which has a A/A+ energy efficiency rating, making them perfect for a variety of new and replacement projects. The compact units (measuring 680mm (h) x 385mm (d) with widths between 500mm and 660mm) have been designed for simple installation and maintenance, with the control board mounted on a hinge-open enclosure. 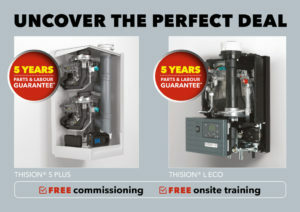 For more information on the full range of gas condensing boilers from ELCO Heating Solutions, please visit www.elco.co.uk.